Have you discovered the Word Art Wednesday challenge blog? Every week the hostess releases a lovely scripture digital file to be used on cards or layouts. 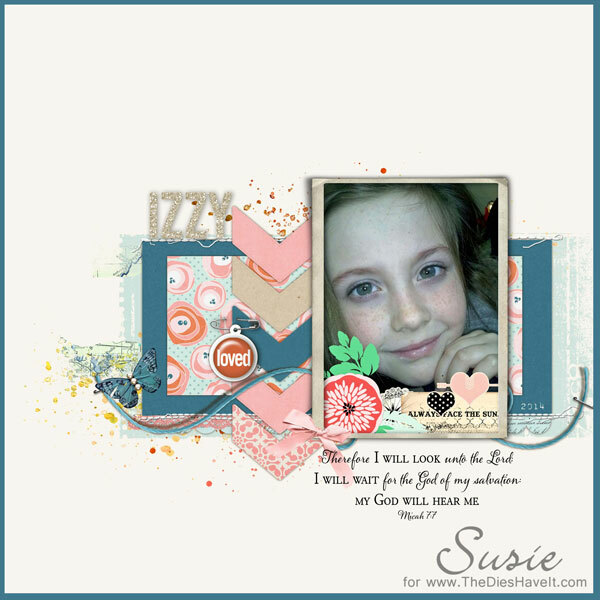 This week I used the scripture in a layout about our beautiful granddaughter, Izzy. She is growing up so quickly and I pray that she will know the Lord early in her life.